It is always a good idea to have a hook on hand while sailing the seven seas, as well as a trusty sword. Get both when you wield the Hook Handle Pirate Sword! This decorative sword draws inspiration from unique pirate weaponry. 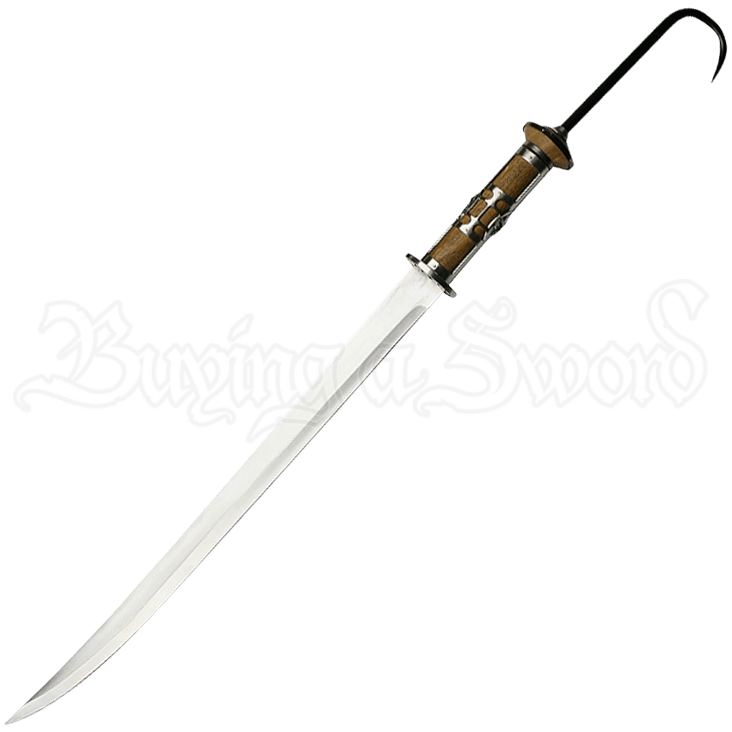 The narrow, slightly angled saber blade is made of stainless steel. The wooden grip of this pirate saber ends in an intriguing, curved metal hook. Silver tone fittings detail the wooden hilt and included wood scabbard alike, creating a cohesive look. An essential collectible and display piece for any true pirate fan, this unique pirate saber makes a great gift as well as an outstanding addition to pirate themed decor.